Silent Sejm (also Dumb Sejm and literally Mute Sejm, Belarusian: Нямы сойм; Polish: Sejm Niemy; Lithuanian: Nebylusis seimas) is the name given to the session of the Sejm (parliament) of the Polish-Lithuanian Commonwealth of 1 February 1717 held in Warsaw. A civil war in the Commonwealth was used by the Russian Tsar Peter the Great as an opportunity to intervene as a mediator. It marked the end of Augustus II of Poland's attempts to create an absolute monarchy in Poland, and the beginning of the Russian Empire's increasing influence and control over the Commonwealth. Augustus II the Strong of the Saxon House of Wettin was elected to the throne of Poland in 1697. The Wettins, used to absolute rule, attempted to govern through intimidation and the use of force, which led to a series of conflicts between Wettin supporters and opponents (including another pretender to the Polish throne, King Stanisław Leszczyński). Those conflicts often took the form of confederations – legal rebellions against the king permitted under the Golden Freedoms. Augustus II wanted to strengthen royal power in the Commonwealth and to that end he brought in troops from Saxony (by the summer of 1714 more than 25,000 Saxon troops were inside Commonwealth's borders). This produced dissent within the Commonwealth. 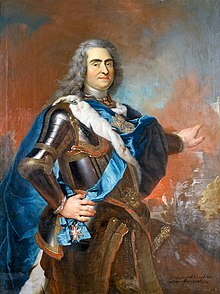 Meanwhile, in the aftermath of the Great Northern War, which marked the rise of the Russian Empire (1721), the growing conflict between Augustus II and the Polish nobility (szlachta) was used by the powerful Russian Tsar Peter the Great, victor of the Great Northern War. At the time Russia was not yet strong enough to conquer and absorb the Commonwealth outright, nor could it easily and openly assume control of it, despite the Commonwealth's dysfunctional politics; the "Polish anarchy" was not to be easily governed. Hence Peter's goal was to weaken both sides, and to prevent Augustus from strengthening his position, which he feared would lead to a resurgent Commonwealth that could threaten Russia's recent gains and growing influence. He succeeded in forcing through conditions (such as reduction of the Commonwealth army's size) that decreased the Commonwealth's political status relative to Russia. Peter used Augustus' recent policies, aiming at the reduction of power of the hetmans (Polish military commanders in chief), as well as the occurrence of a bad harvest and some Polish-French negotiations, to stir opposition to Augustus. The nobles, spurred by Russian promises of support, formed the Tarnogród Confederation on 26 November 1715. The Confederation's marshal was Stanisław Ledóchowski. The Tarnogród Confederation was only the last and most notable of several confederations formed against Augustus at that time. The Confederates were supported by most of the Commonwealth's own army. The Russians entered the country, but did not participate in any major engagements. They bided their time, as Peter posed as the mediator between the Commonwealth's king and its szlachta. Crucially, the Russians did not support the Confederates as promised, and instead insisted on bringing both sides to the negotiating table. The civil war lasted for a year and the outcome hung in the balance. Saxon forces under the command of Jacob Heinrich von Flemming enjoyed military superiority, advanced south-eastwards and took Zamość (this victory was however accomplished less through military tactics than through diplomacy and a treachery). The confederates then pushed back, entered Wielkopolska, and took Poznań. They gained some support from a local Wielkopolska confederation and from Lithuania. Neither side was however posed to achieve victory, and the Russian pressure mounted; eventually the Russians declared that they would consider any side that refused to enter into negotiations an enemy, and open hostilities against them. Unable to defeat the Confederates, many of whom still saw Peter as the protector of their rights (and some of whom hoped for Augustus to be deposed), Augustus agreed to open the negotiations with Russians acting as arbitrators. The Russians were represented by a delegation headed by prince Grigori Dolgorukov (1657—1723). A peace treaty between the Confederates and the Augustus was signed on 3 or 4 November 1716, as relations between the Confederates and the Russians deteriorated. The Russians made it increasingly apparent that their goals were not wholly benign to the Commonwealth. Finally, a Sejm session was called for 1 February 1717. To prevent the use of liberum veto from disrupting Sejm proceedings, the session was turned into a confederated sejm. (It was also a pacification sejm). Threatened by a strong Russian army, with Russian soldiers "guarding" the proceedings, the Silent Sejm was known as such because only the speaker (marshal of the Sejm) Stanisław Ledóchowski (podkomorzy krzemienicki), and a few selected other deputies were allowed a voice, outlining the terms of the settlement. Other names for the Sejm in the English language include Dumb or Muted.^ The terms themselves were significantly designed by Peter the Great. The Sejm lasted for one day only, or more precisely, six hours. Sources vary whether Russia was recognized as the power that would guarantee the settlement; this claim is made by Jacek Jędruch and Norman Davies, but rejected by Jacek Staszewski and explicitly noted as erroneous in the edited work by Zbigniew Wójcik. The Silent Sejm marked the end of Augustus II's attempts to create an absolute monarchy in Poland; he subsequently focused his efforts on securing the succession of his son to the Polish throne. While some beneficial reforms were passed (such as the establishment of standing taxes for the military), the Sejm is regarded negatively by modern historians. The reduction in the size of the army and the establishment of Russia's position as the settlement's proposed (even if rejected) guarantor reinforced Commonwealth military inferiority compared to its neighbors, and unofficially, put it in the position of a Russian protectorate. The Russian tsar, as the proposed guarantor, now had a convenient excuse to intervene in Polish politics at will. With a reduced army, removal of Saxon troops and the right to form confederations, the nobility and the king had less power to fight one another – or, not coincidentally, to resist outside forces. Russian troops remained in the Commonwealth for two years, supporting opposition to Augustus, and Russia soon reached an agreement with other powers to put an end to further attempts at the reform and strengthening of the Commonwealth. Thus the Silent Sejm is regarded as one of the first precedents for the Russian Empire dictating Polish internal policy, and a precursor to the partitions of Poland, which erased the Commonwealth from world maps by 1795. Historian Norman Davies wrote that this Sejm "effectively terminated the independence of Poland and Lithuania". The system created by the Silent Sejm dominated the Polish political scene until the late 18th century, when a new wave of reforms led to the Constitution of the 3 May, soon followed by partitions of Poland and loss of Polish sovereignty for 123 years. a ^ Through some sources claim that the entire Sejm was silent, or that only Ledóchowski spoke, in fact several people spoke during the Sejm. Józef Szujski notes that the Sejm begun with a long speech by Ledóchowski, that other marshals of provincial confederations were allowed to speak in order to renounce their positions, that the chancellor Jan Sebastian Szembek was able to reply to them, and that the deputy and commissar Michał Potocki read the constitution and relevant treaties. At the same time, the sources agree that most of the deputies were prevented from speaking; Szujski notes that hetman Stanisław Mateusz Rzewuski was refused the right to speak. Archbishop of Gniezno and primate of Poland, Stanisław Szembek, "stormed out in a fury", complaining about being not allowed to voice his position in the discussion. ^ a b c d e f g h i j k l m n o Jacek Jędruch (1998). Constitutions, elections, and legislatures of Poland, 1493–1977: a guide to their history. EJJ Books. pp. 153–154. ISBN 978-0-7818-0637-4. Retrieved 13 August 2011. ^ J. S. Bromley (1957). The New Cambridge modern history. CUP Archive. p. 709. ISBN 978-0-521-07524-4. Retrieved 13 August 2011. ^ a b Maureen Cassidy-Geiger (2007). Fragile diplomacy: Meissen porcelain for European courts ca. 1710-63. Yale University Press. p. 29. ISBN 978-0-300-12681-5. Retrieved 13 August 2011. ^ a b c d J. S. Bromley (1957). The New Cambridge modern history. CUP Archive. p. 711. ISBN 978-0-521-07524-4. Retrieved 13 August 2011. ^ a b c d e f Jerzy Jan Lerski (1996). Historical dictionary of Poland, 966-1945. Greenwood Publishing Group. p. 595. ISBN 978-0-313-26007-0. Retrieved 13 August 2011. ^ a b c d e f g h i Norman Davies (20 January 1998). Europe: a history. HarperCollins. p. 659. ISBN 978-0-06-097468-8. Retrieved 13 August 2011. ^ a b c d Norman Davies (30 March 2005). God's Playground: The origins to 1795. Columbia University Press. p. 377. ISBN 978-0-231-12817-9. Retrieved 13 August 2011. ^ a b c d e f g h i J. S. Bromley (1957). The New Cambridge modern history. CUP Archive. p. 712. ISBN 978-0-521-07524-4. Retrieved 13 August 2011. ^ a b c d Jerzy Lukowski; W. H. Zawadzki (17 July 2006). A concise history of Poland. Cambridge University Press. p. 109. ISBN 978-0-521-61857-1. Retrieved 13 August 2011. ^ a b c Samuel Orgelbrand (1884). Encyklopedyja powszechna S. Orgelbranda: nowe stereotypowe odbicie. Nakł., druk i własność S. Orgelbranda Synów. p. 316. Retrieved 13 August 2011. ^ a b c d Jacek Jędruch (1998). Constitutions, elections, and legislatures of Poland, 1493–1977: a guide to their history. EJJ Books. p. 155. ISBN 978-0-7818-0637-4. Retrieved 13 August 2011. ^ David J. Sturdy (2002). Fractured Europe, 1600-1721. Wiley-Blackwell. p. 385. ISBN 978-0-631-20513-5. Retrieved 13 August 2011. ^ a b Władysław Smoleński (1897). Dzieje narodu polskiego. Nakładem Autora. p. 252. Retrieved 13 August 2011. ^ a b Piotr Stefan Wandycz (2001). The price of freedom: a history of East Central Europe from the Middle Ages to the present. Psychology Press. pp. 103–104. ISBN 978-0-415-25491-5. Retrieved 13 August 2011. ^ a b c d Józef Szujski (1866). Dzieje Polski podług ostatnich badań: Królowie wolno obrani, cz. 2 r. 1668 do 1795. K. Wild. p. 257. Retrieved 13 August 2011. ^ a b c d e f g Samuel Orgelbrand (1867). Encyklopedyja powszechna. Orgelbrand. p. 978. Retrieved 13 August 2011. ^ a b c d e Józef Bezmaski (1876). Notatki do dziejów i historyja ostatnich 98 lat Rzeczypospolitéj Polskiéj. Nakł. autora. pp. 233–234. Retrieved 13 August 2011. ^ a b Jerzy Lukowski (3 August 2010). Disorderly Liberty: The Political Culture of the Polish-Lithuanian Commonwealth in the Eighteenth Century. Continuum International Publishing Group. p. 36. ISBN 978-1-4411-4812-4. Retrieved 13 August 2011. ^ a b c d Richard Bonney (1999). The rise of the fiscal state in Europe, c. 1200-1815. Oxford University Press US. p. 475. ISBN 978-0-19-820402-2. Retrieved 13 August 2011. ^ a b Karin Friedrich (2 November 2006). The Other Prussia: Royal Prussia, Poland and Liberty, 1569-1772. Cambridge University Press. p. 172. ISBN 978-0-521-02775-5. Retrieved 13 August 2011. ^ Gordon McLachlan (22 May 2008). Lithuania: the Bradt travel guide. Bradt Travel Guides. p. 19. ISBN 978-1-84162-228-6. Retrieved 13 August 2011. ^ Jacek Staszewski (1998). August II Mocny. Zakład Narodowy Im. Ossolińskich. p. 199. ISBN 978-83-04-04387-9. Retrieved 24 October 2012. ^ a b Zbigniew Wójcik, ed. (1982). Historia dyplomacji polskiej, t. II 1572-1795. Warszawa. p. 369. ^ a b Norman Davies (May 2005). God's Playground: 1795 to the present. Columbia University Press. p. 460. ISBN 978-0-231-12819-3. Retrieved 13 August 2011. ^ J. S. Bromley (1957). The New Cambridge modern history. CUP Archive. p. 714. ISBN 978-0-521-07524-4. Retrieved 13 August 2011. ^ Jacek Jędruch (1998). Constitutions, elections, and legislatures of Poland, 1493–1977: a guide to their history. EJJ Books. p. 151. ISBN 978-0-7818-0637-4. Retrieved 13 August 2011. ^ Jerzy Lukowski (3 August 2010). Disorderly Liberty: The Political Culture of the Polish-Lithuanian Commonwealth in the Eighteenth Century. Continuum International Publishing Group. p. 25. ISBN 978-1-4411-4812-4. Retrieved 13 August 2011. The Bar Confederation was an association of Polish nobles (szlachta) formed at the fortress of Bar in Podolia in 1768 to defend the internal and external independence of the Polish–Lithuanian Commonwealth against Russian influence and against King Stanisław II Augustus with Polish reformers, who were attempting to limit the power of the Commonwealth's wealthy magnates. The founders of the Bar Confederation included the magnates Adam Stanisław Krasiński, Bishop of Kamieniec, Karol Stanisław Radziwiłł, Casimir Pulaski, Moritz Benyowszki and Michał Krasiński. Its creation led to a civil war and contributed to the First Partition of the Polish–Lithuanian Commonwealth. Some historians consider the Bar Confederation the first Polish uprising. The Constitution of 3 May 1791 was adopted by the Great Sejm (parliament) of the Polish–Lithuanian Commonwealth, a dual monarchy comprising the Crown of the Kingdom of Poland and the Grand Duchy of Lithuania. 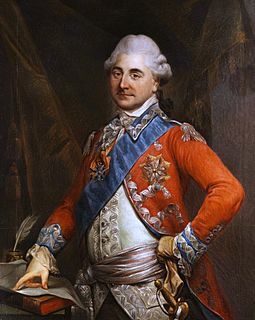 The legislation was designed to redress the Commonwealth's political defects and was preceded by a period of agitation for—and gradual introduction of—reforms beginning with the Convocation Sejm of 1764 and the election of Stanisław August Poniatowski as the Commonwealth's last king. The liberum veto was a parliamentary device in the Polish–Lithuanian Commonwealth. It was a form of unanimity voting rule that allowed any member of the Sejm (legislature) to force an immediate end to the current session and to nullify any legislation that had already been passed at the session by shouting, Sisto activitatem! or Nie pozwalam!. The rule was in place from the mid-17th century to the late 18th century in the Sejm's parliamentary deliberations. It was based on the premise that since all Polish noblemen were equal, every measure that came before the Sejm had to be passed unanimously. The liberum veto was a key part of the political system of the Commonwealth, strengthening democratic elements and checking royal power and went against the European-wide trend of having a strong executive. A konfederacja was an ad hoc association formed by Polish-Lithuanian szlachta (nobility), clergy, cities, or military forces in the Polish-Lithuanian Commonwealth for the attainment of stated aims. A konfederacja often took the form of an armed rebellion aimed at redressing perceived abuses or trespasses of some authority. Such "confederations" acted in lieu of state authority or to force their demands upon that authority. They could be seen as a primary expression of direct democracy and right of revolution in the Commonwealth, and as a way for the nobles to act on their grievances and against the state's central authority. Royal elections in Poland was the election of individual kings, rather than of dynasties, to the Polish throne. Based on traditions dating to the very beginning of the Polish statehood, strengthened during the Piast and Jagiellon dynasties, they reached their final form in the period of the Polish-Lithuanian Commonwealth between 1572 and 1791. The "free election" was abolished by the Constitution of 3 May 1791, which established a constitutional monarchy. Stanisław Michał Ernest Denhoff was a Polish–Lithuanian Commonwealth aristocrat, Grand Master of the Hunt of Lithuania, Grand Chorąży of the Crown (1704–1721), voivode of Połock (1721–1728), politician and a military commander. Grodno Sejm was the last Sejm of the Polish–Lithuanian Commonwealth. The Grodno Sejm, held in fall of 1793 in Grodno, Grand Duchy of Lithuania is infamous because its deputies, bribed or coerced by the Russian Empire, passed the act of Second Partition of Poland. The Sejm started on 17 June and ended on 23 November 1793. It ratified the division of the country in a futile attempt to prevent its subsequent complete annexation two years later in the 1795 Third Partition of Poland. The Diet of the Kingdom of Galicia and Lodomeria, and of the Grand Duchy of Cracow was the regional assembly of the Kingdom of Galicia and Lodomeria, a crown land of the Austrian Empire, and later Austria-Hungary. In the history of the Polish parliaments, it is considered the successor of the former sejm walny, or general sejm of the Kingdom of Poland and the Polish-Lithuanian Commonwealth, and also of the sejmik, or local councils, in the territories of the Austrian Partition. It existed from 1861 until the dissolution of Austria-Hungary in 1918. The general sejm was the parliament of Kingdom of Poland. It had evolved from the earlier institution of wiec. It was one of the primary elements of the democratic governance in the Kingdom of Poland. The sejm was a powerful political institution, and from early 16th century, the Polish king could not pass laws without the approval of that body. The Sejm and the Seimas of the Grand Duchy of Lithuania was merged into the Sejm of the Polish–Lithuanian Commonwealth by the Union of Lublin in 1569.